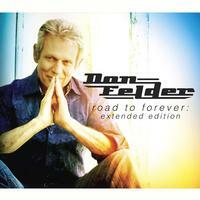 This new reissue of Don Felder’s latest release has four extra songs. I’d say all four of those are worth having. The whole disc is full of what you’d expect – great rock music with a classic sound. Does it sound like The Eagles? Some of it does. The thing is, there’s a great variety of music, but a high quality level that runs through the set. If you’ve ever like Felder’s work, pick this up. I recommend it highly. I love the mid-tempo classic rock groove to this thing. It sounds quite a bit like The Eagles, but that makes sense, really. This feels like 1976 to me. It’s got some country in the mix, but only a tiny bit. It’s a great song and a great way to start things in style. There’s more energy and a bit more bite to this rocker. It’s got a little bit of a soulful edge, but it’s also got some great slide guitar. There are some valid comparisons to ZZ Top that could be made. As much as I liked the opener, I like this one even more. There is a little bit of a vocal processing effect on this. I’m normally not a big fan of that, but it’s not a bad thing here. Now, this one I didn’t expect. There are still some of the same musical elements at play here, but this has a lot in common with modern progressive rock, too. In fact, some parts of this make me think of RPWL a bit. It’s a great song and a great bit of variety. Parts of this are really dreamy. The modern prog comparison works to some degree here, too. That said, there are also some very evocative soulful vibes here. I really love this song. It’s one of my favorites of the set. Much harder rocking than some of the other stuff here, this is another classy song. It’s another that’s loaded with classic rock goodness. This topical rocker has a great edge to it. The vocal arrangement sells it. The instrumental section mid-track has some more of that progressive rock element. This is another classy and classic sounding tune. Imagine a pop rock ballad that combines Pink Floyd, Steely Dan and the Eagles. You might be pretty close to this powerful piece of music. It’s another highlight of a set with a lot of great music in it. This rocks out a bit more than the previous one. Other than that, though, they occupy much the same musical territory. They also have much the same level of quality. I really love the vocal arrangement on this and the whole thing is just strong. Although this is more acoustic guitar driven, it’s not really a ballad. It’s got a mid-tempo pace and some good hooks. There are some hints of country music through the slide guitar, but overall it’s a classic rock number. I absolutely love this song. It opens with a delicate acoustic guitar based movement. Layers of vocals create some real majesty as it continues. Then that introductory movement ends and they rock out from there. The piece works through some changes and includes a drop back to the mellower stuff later. The soulful female vocals lend a lot to this. A pretty ballad, this is quite gentle. It remains pretty constant throughout. Here we get a real rocker with some great vocal hooks. It’s quite a powerhouse tune. I really love the guitar work on the outro. Featuring some talk box, this rocker is another classy one. At times I’m reminded a bit of Pink Floyd here. This sounds even more like Pink Floyd. The horn section adds a lot here and this rocker is just plain tasty. It’s one of my favorites here. Classic rock sounds with just a little hint of a funky, soulful vibe is the order of business on this one. It’s not one of my favorites, but it’s still a good tune. It’s got some meaty guitar soloing, too. This hard rocker has a bit of a bluesy feel to it. The riff driving it is classy and it’s another strong one.